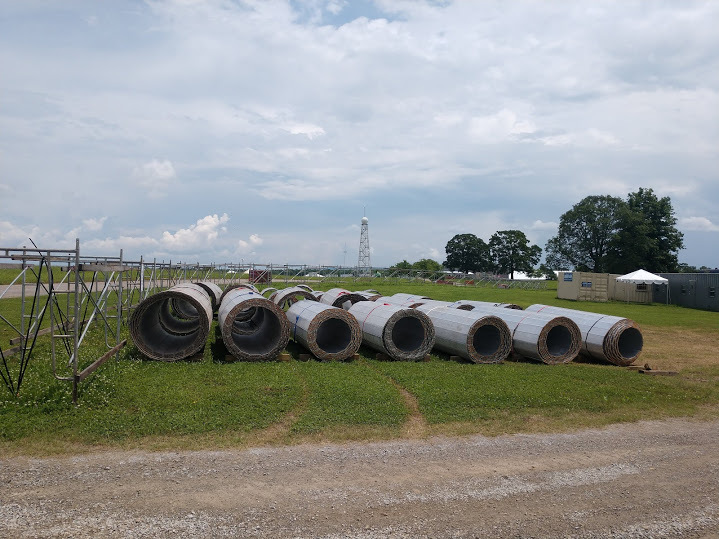 Manchester Tennessee has become the latest location to find ASAP ground/turf protection as Bonnarroo Music Festival becomes the fifth major festival this year to switch to the amazing new product. Austin Staging and Production has reinvented LD matting, making it stronger and lighter. Our 2,475 lb. mats will transport the heaviest of loads over turf, grass, or even soft sand. 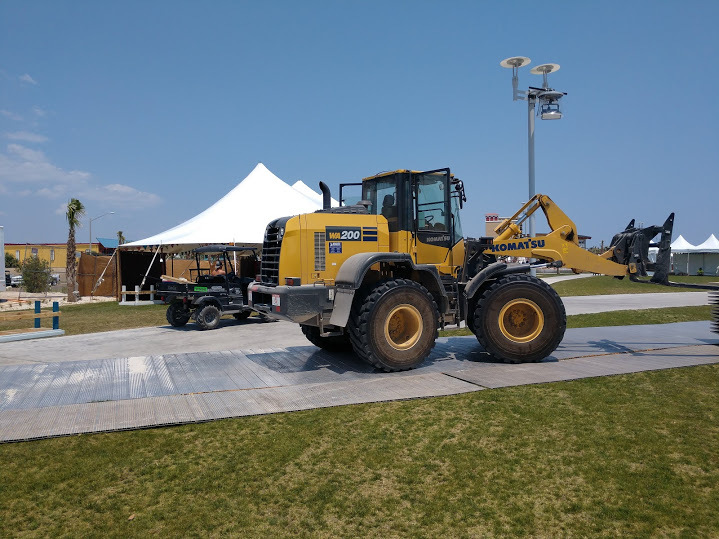 Austin Staging and Production provided 15 light duty ground protection rolls for the installation of sponsorship activations and a ferris wheel on the new great lawn in the beautiful Gulf Shores park in Alabama. 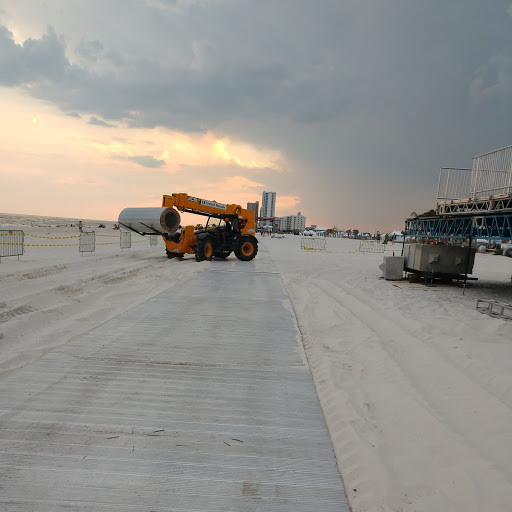 A Stageline 320 was also placed on the beach via a 700 ft roadway of LD panels. Austin Staging and Production is proud to provide over 100 stagehands, loaders, riggers, technicians, and stewards to the Work Human project at the Austin Convention Center during and after South By Southwest music festival. ASAP has been providing Staging and stage labor since 1995. Based in Austin, Texas, ASAP provides labor for local venues such as Stubbs Amphitheatre, and generally works in the Travis County area, but has taken up to 30 people on the road for months at a time in support of Brown United staging, among others. 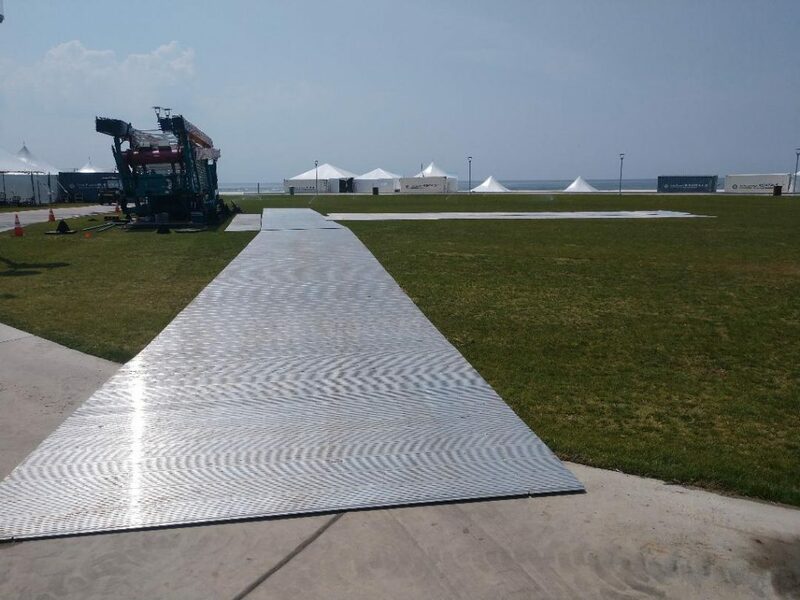 With the addition of a new ground/turf protection line, ASAP has extended their reach to the festival circuit. 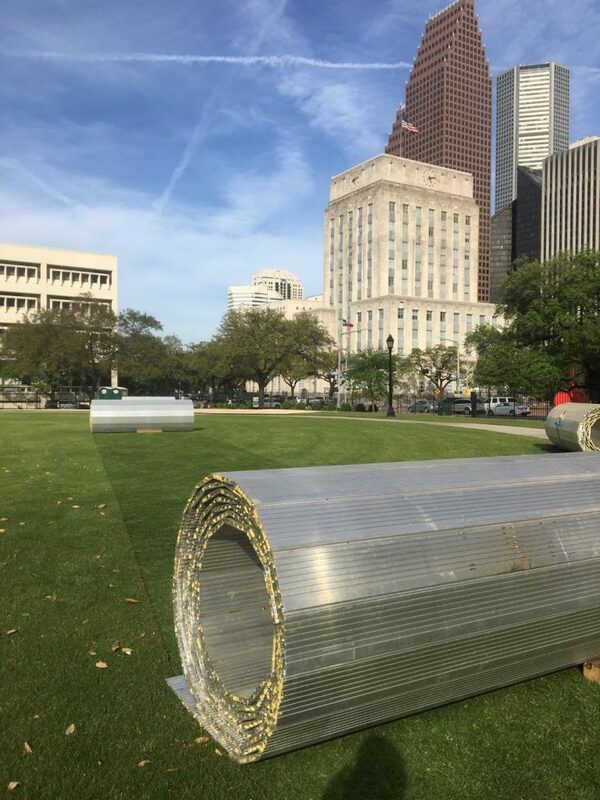 Austin Staging and Production is proud to add Houston’s “In Bloom” festival to the growing list of festivals now using our ground/turf protection systems. Houston parks department was extremely happy with the outcome as many tons of equipment moved through the grounds with little or no trace. Accolades for this accomplishment came from sources as high as the mayors office. Austin Staging and Production’s ground protection is far superior to anything on the market today, as it has been engineered for strength and durability, and foam filled to prevent mud-logging. If you are planning on having any events on Austin parkland, you will want to make sure you have the proper ground protection in place. Austin Staging and Production has you covered with our aluminum rolls, which are approved by PARD for usage at outdoor events on their parkland.